The selection of output voltages is done manually with 5-step switch. The maximum total current of all motors should not exceed the rated current (I) of equipment. 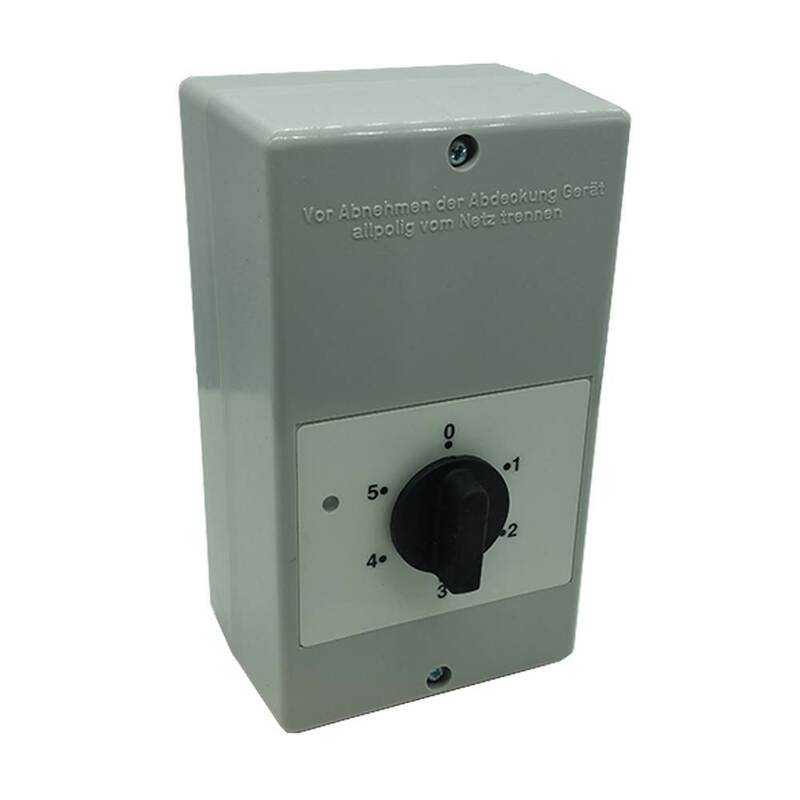 additional voltage output 230V (terminals 1 and 2) is activated, if fan runs steps 1,2,3,4 or 5. It could be used e. g. for a signal lamp or damper control (maximum contact rating 1A). A power on lamp is integrated. automatic switch on after power failure.